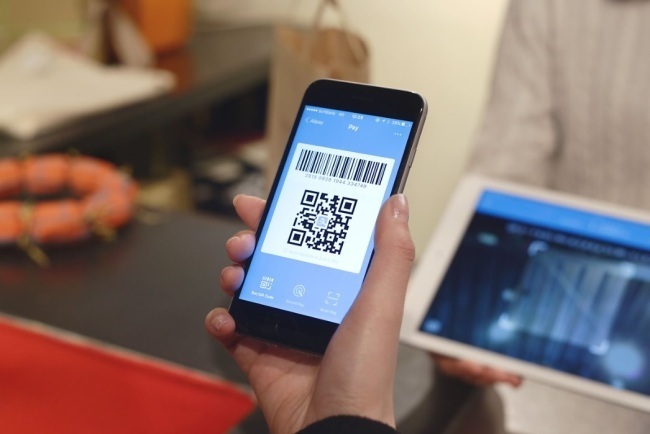 The Financial Services Commission, South Korea’s financial regulator, unveiled Tuesday a set of standards for QR codes for electronic payment, in a nation where the smartphone penetration rate is high and credit card payment terminals are ubiquitous among merchants here. A QR code refers to a matrix barcode used in infrastructure that allows mobile payment between customers and vendors without intermediaries. By using a mobile phone app to scan a QR code, a user will be authenticated, and the corresponding amount of cash will be withdrawn from an account and sent to merchants. According to the standards co-certified by the FSC, the Korea Financial Telecommunications and Clearings Instituteand the Financial Security Institute, QR codes in Korea must be forgery-proof by keeping the error correction rate low and they are not allowed to contain private information. Printed QR codes must also be equipped with laminating film to prevent forgery, while QR codes displayed on screens must be generated through an app that meets a separate security standard and renewed at least every three minutes. This came after monthslong efforts by a task force created in September that comprises financial authorities such as the FSC, the Bank of Korea, the Financial Supervisory Service, the KFTC and the FSI. Among financial institutions, NongHyup Bank took part in the team for test operations. The new standards will “enhance ubiquity, convenience and security in electronic financial transactions,” the FSC said in a release. The codes will be used for the state-led “Zero Pay” project, designed for small and-medium-sized enterprises to be exempt from commission fees to financial institutions. The project to establish the new payment network has been co-sponsored by the metropolitan government of the capital city of Seoul. The pilot operation of the network is set for launch in December. Commercial banks can also adopt electronic financial transaction infrastructure that meets the authorities’ standards, FSC added. Korean financial companies have yet to introduce infrastructure for bank-to-bank mobile payment via QR codes, similar to those by companies such as Alipay or WeChat Pay. The card processing network has flourished, replacing payment via cash. Over 4 out of 5 Koreans are estimated to own at least one credit card, according to data from the Bank of Korea as of end-2017. The volume of credit card payment processed in 2017 came to 627.3 trillion won ($558 billion).